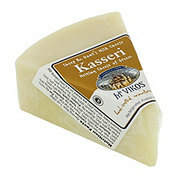 A Savoie cheese that derives its name from racler(meaning to scrape) which describes the way the mountain people cut this cheese. 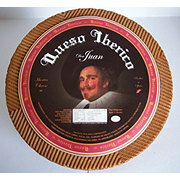 The cheese is made in the form of a wheel, about 3 inches thick and 13 to 17 inches in diameter, weighing about 15 pound. 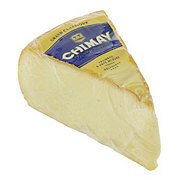 The rind is dark-beige, the pate is firm, uncooked, unpressed with a seductive light yellow color. 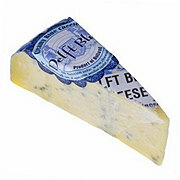 Once melted the taste is creamy, fruity...a sheer delight. The fame, sympathy and interest of the Raclette is in the way it is most enjoyed. 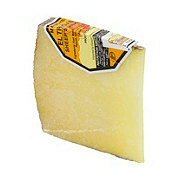 One gathers round a table, cuts the cheese in half and then melt the cheese over a heating apparatus. 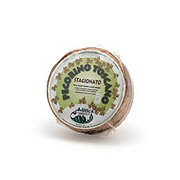 Serve melted with baked potatoes and cooked and cured meats, the cheese demonstrates all its delicious gustative qualities. In a mountain chatel after a day's skiing one is taken a step nearer to paradise. 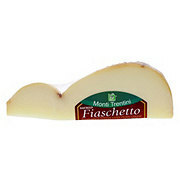 The cheese dates back to Roman times when is was used as a form of money exchanged for other essential goods. Local farmers have passed the methods of production down through the generations.